Ideamotive is a fast growing software house based in the heart of the Europe, in Warsaw, Poland. We are experts at Web & Mobile technologies and outstanding interactive UX/UI design. You bring the idea and we’ll bring our technical expertise to make it a reality. Whether you’re a startup or a multi-national, we have the expertise to build your project. We can develop MVPs, scalable technical platforms, mobile applications and more. We can also become an extension to your in-house development team. 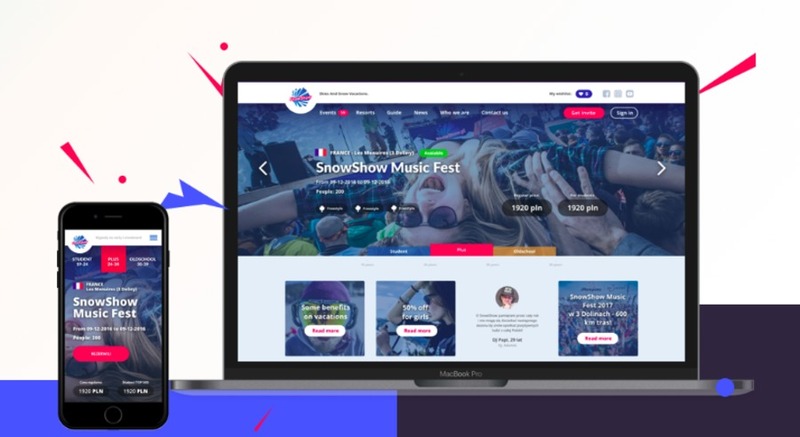 New booking system and website for SnowShow - leading winter tours provider which resulted in 70% conversion rate increase, page loading speed up by even 95%, countless new business processes automated. These are the effect of very close, long-time cooperation, great communication and mutual understanding that.